Now that is a picture of some very happy people. 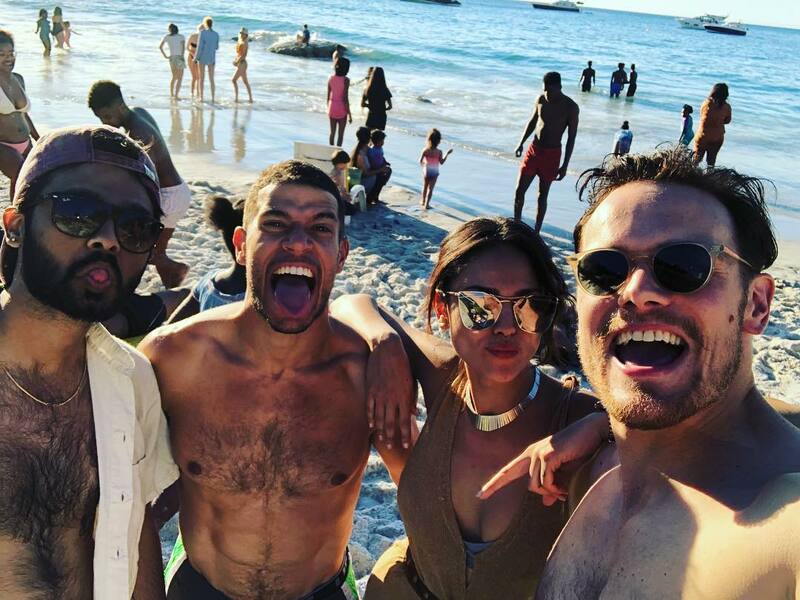 Lots of sun, beach, friends, water and of course Sam Heughan! Watch out for the Sunburn and sharks! I understand that the movie “Bloodshot” won’t come to the big screen till the year 2010 – why so late.